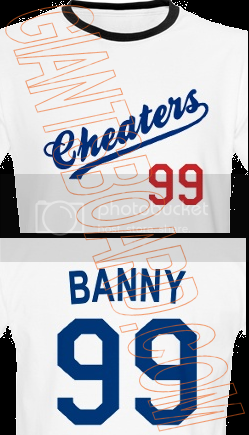 Hey Giants fans new member here. I'm a parent of a new Giant. Our son, Andrew Carignan is an RHP, former Oakland A that signed a minor league FA contract with the Giants in December. He is looking forward to making an impression on the Giants staff and hopefully make his way to AT&T Park this season. As a dad, I am also excited about being part of your family. I outed myself on another thread, so I'll reintroduce myself. This is LoneStarGiantFan from the MLB board, returning to a ghost town to see if it can be revived. I like the format better here, but we're going to need more players! desertdavid2 here from MLB board and others. I'm arguably the senior member here (in age anyway), but none the less a rabid Giants fan since 1959. I don't know why I missed the 58 year, but so it is. How many can recognize the following tag line on KSFO, "Hurray for Garibaldi" ? Nice to see you! Since all the changes on the MLB board, I decided to see if I could help bring this place back to life. I need to find a mod who can update the front page [sign in to see URL] at least show me how to do it. I mean, [sign in to see URL] [sign in to see URL] a Phillies cap? Anyway, we'll give it a run, and see what happens. that mod would be [sign in to see URL] I'll see what I can do. Shaqfuey (aka Matt) from the MLB board - not original enough to think of a new handle, so I'll stick with the classics. I'm here. Keeping the same handle as the MLB board. Is there a Game thread here? Well, we're trying to crawl before we walk. This site was pretty much dead when I decided to try to revive it. I've been posting content to show signs of life here, as has Zebra (sfg13), but I'm not sure we've had more than 3-4 posters here at any given time as yet. 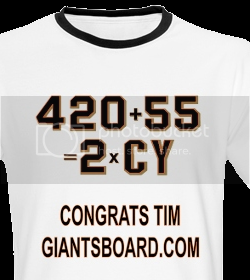 I'm trying to get the existing mods to either update the front page, or to show me how to do it, so the home page reflects [sign in to see URL] doesn't speak well to the integrity of board content when the front page says "Giants Lose" after Timmy's no-no, for example. Once that gets done, though, I'll start actively recruiting posters here. At that point, we'll hopefully have enough posters to support a gameday thread. In fact, you can be the one to start them, if you like! Hang in there with this board, and it will rise to meet you and the other new posters here. Thanks Chimps/LS. I'll keep checking in. MLB board with its new FB friendly config is driving me nutty.